If you are having a Halloween event, you can use an Outdoor Banner Stand to help direct people to the event. 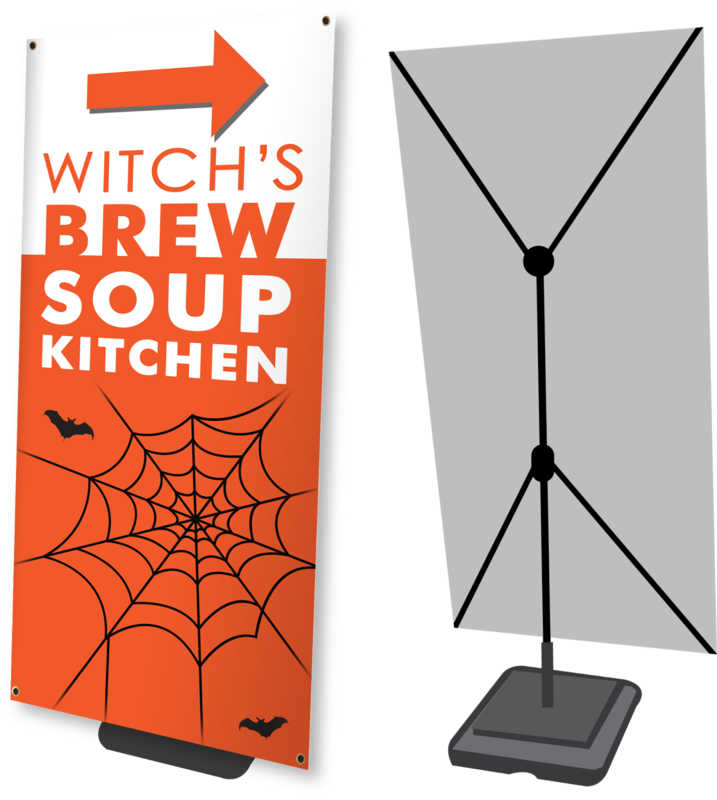 Some common Halloween events that you can use banner stands for include haunted houses, community Treat-or-Treat or Trunk-or-Treat events, corn mazes, pumpkin patches, and costume contests. Businesses can also use the stands to direct customers in for Halloween sales. Our Outdoor Banner Stand has a lightweight tank which holds water. The price includes the hardware, a 70" x 34" full color printed banner, and a carrying case. At Banners.com, we make it easy to order your banner stands online. We have a large selection of styles and sizes available. You can use our online designer and customize your design by using our background images, clip art images, and text. You can also upload your own graphics, or work with one of our graphic designers.